Recommit Every Day - Pro Ambitions Hockey, Inc. I tell this to my youngest daughter Pia. 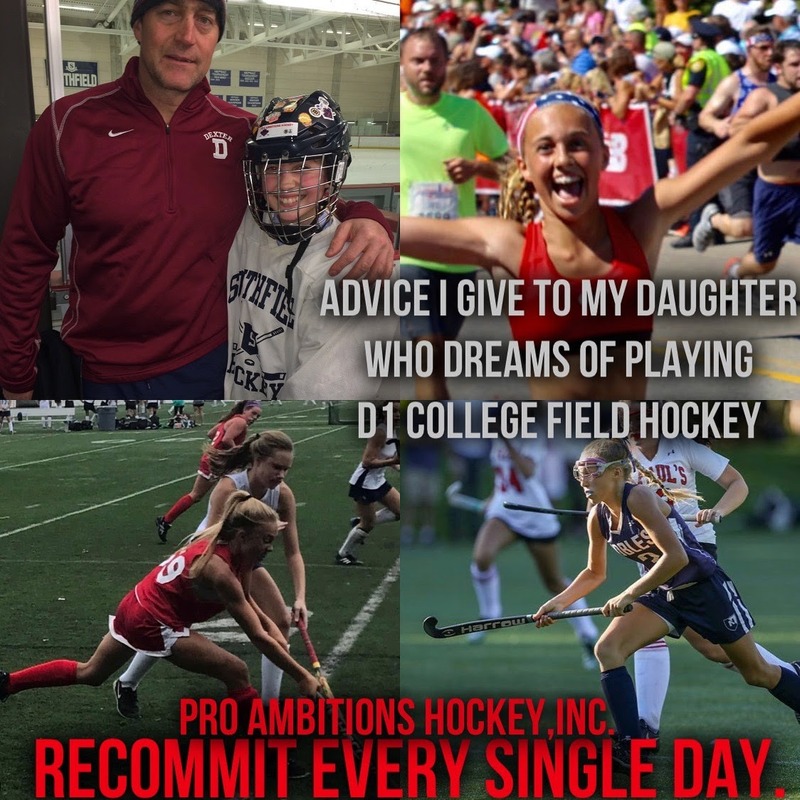 If she wants to play D1 College field hockey, she must continue to recommit daily. To her sport. All of these kids are incredibly busy balancing academics, sports, for us CCD and confirmation classes, family, friends, volunteer work, school clubs and most importantly down time and finding time to rest and relax. The mindset of recommitting every day puts all of this into perspective. Realistically she is not going to have time to stick handle and shoot in our basement every single day where I built her a turf practice arena for field hockey. But she can commit to making a wise choice TOWARDS her commitment daily. This weekend for example, she has a tournament Saturday and Sunday. Up early to travel as well. Friday night her school’s boys lacrosse team is playing a special game at Harvard to remember a very special alumni. A really special event. I told her the best choice for her is to stay home rest and to bed early. She is already tired from a long week at school with lacrosse and homework. A sacrifice. Recommitment. Hockey camps at Pro Ambitions are a commitment to hockey. Whatever your child’s bar is, please identify that with him or her before coming to camp. Set hockey goals with them. We will ask them when they are at camp. Then we will get to work. As always in a nurturing positive environment. But yes, they will be pushed out of their comfort zone. They won’t even realize it. Picture to the left is me playing D1 Providence College Hockey. Hockey East. I am so proud to be the official development camp of Hockey East. So many of my campers are now playing for Hockey East or alumni of Hockey East. Picture below. 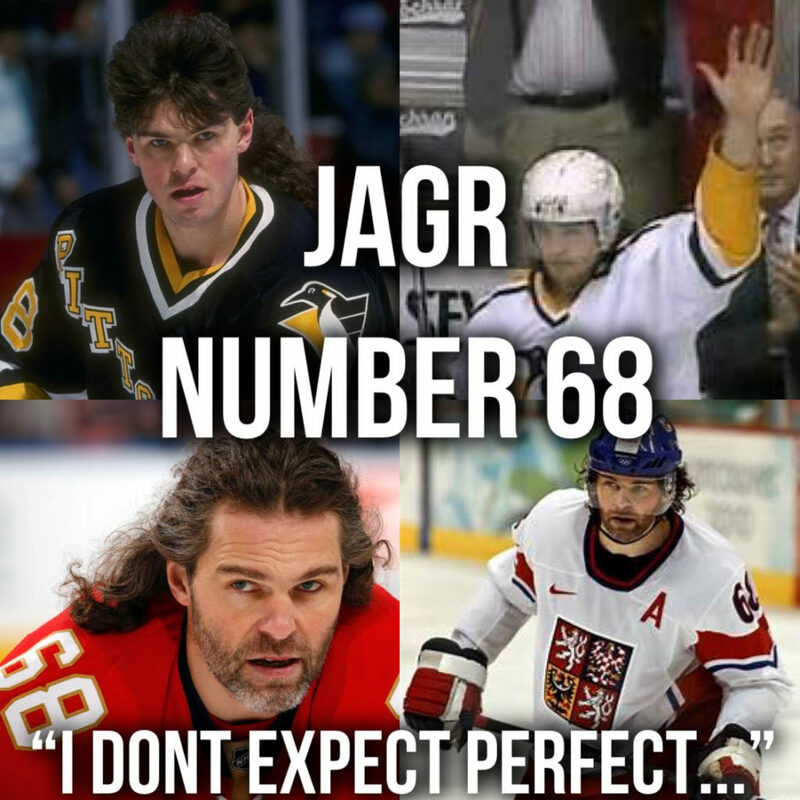 Jagr. I think the most significant recommitment to hockey on a daily basis I have seen. There is absolutely no wonder why he is still playing at 46 years old. Never seen a harder working pro.